Ten million dollars does not seem to buy much in this bustling Pakistani city. That is the sum the United States is offering for help in convicting Hafiz Muhammad Saeed, perhaps the country’s best-known jihadi leader. Yet Mr. Saeed lives an open, and apparently fearless, life in a middle-class neighborhood here. Mr. Saeed’s very public life seems more than just an act of mocking defiance against the Obama administration and its bounty, analysts say. As American troops prepare to leave Afghanistan next door, Lashkar is at a crossroads, and its fighters’ next move — whether to focus on fighting the West, disarm and enter the political process, or return to battle in Kashmir — will depend largely on Mr. Saeed. At his Lahore compound — a fortified house, office and mosque — Mr. Saeed is shielded not only by his supporters, burly men wielding Kalashnikovs outside his door, but also by the Pakistani state. On a recent evening, police officers screened visitors at a checkpoint near his house, while other officers patrolled an adjoining park, watching by floodlight for intruders. His security seemingly ensured, Mr. Saeed has over the past year addressed large public meetings and appeared on prime-time television, and is now even giving interviews to Western news media outlets he had previously eschewed. He says that he wants to correct “misperceptions.” During an interview with The New York Times at his home last week, Mr. Saeed insisted that his name had been cleared by the Pakistani courts. “Why does the United States not respect our judicial system?” he asked. 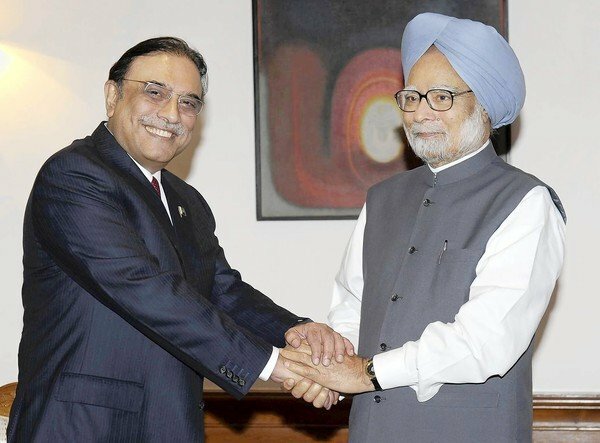 During that stretch, his group was focused on attacking Indian soldiers in the disputed territory of Kashmir — the fight that led the military’s Inter-Services Intelligence Directorate to help establish Lashkar-e-Taiba in 1989. But that battle died down over the past decade, and Lashkar began projecting itself through its charity wing, Jamaat-ud-Dawa, which runs a tightly organized network of hospitals and schools across Pakistan. The Mumbai attacks propelled Lashkar-e-Taiba to notoriety. But since then, Mr. Saeed’s provocations toward India have been largely verbal. Last week he stirred anger there by suggesting that Bollywood’s highest-paid actor, Shah Rukh Khan, a Muslim, should move to Pakistan. In the interview, he said he prized talking over fighting in Kashmir. What it amounts to, however, may depend on events across the border in Afghanistan, where his groups have been increasingly active in recent years. 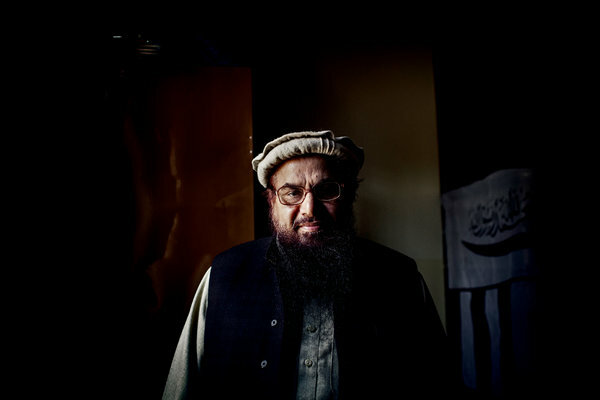 In public, Mr. Saeed has been a leading light in the Defense of Pakistan Council, a coalition of right-wing groups that lobbied against the reopening of NATO supply routes through Pakistan last year. More quietly, Lashkar fighters have joined the battle, attacking Western troops and Indian diplomatic facilities in Afghanistan, intelligence officials say. The question now is what will happen to them once American troops leave. One possibility is a return to Lashkar’s traditional battleground of Kashmir, risking fresh conflict between nuclear-armed Pakistan and India. But a more hopeful possibility, floated by some Western and Pakistani officials, is that Mr. Saeed would lead his group further into politics, and away from militancy. Five years of near-continuous battle against the Pakistani Taliban along the Afghan border, where more than 3,300 members of Pakistan’s security forces have been killed in the past decade, has affected army thinking, some analysts believe. Senior officers have lost colleagues and relatives, softening the army’s singular focus on India. But for all that, there is ample evidence that parts of the military remain wedded to jihadi proxies. In Waziristan, the army maintains close ties to the Haqqani Network, a major player in the Afghan insurgency. In western Baluchistan Province, it has used Sunni extremists to quell an uprising by Baluch nationalists — even though the same extremists also massacre minority Shiites. And Mr. Saeed’s freedom to roam around Lahore — and, indeed, across Pakistan — suggests some generals still believe the “good” jihadis are worth having around. Western intelligence officials say Lashkar’s training camps in northern Pakistan have not been shut down. One of those camps was the training ground of David C. Headley, an American citizen recently sentenced to prison by an American court for his role in the Mumbai attacks. For all his apparent ease, Mr. Saeed has to walk a tightrope of sorts within the jihadi firmament. His support of the state puts him at odds with the Pakistani Taliban, which, he claims, are secretly supported by America and India — a familiar refrain in the right-wing media. 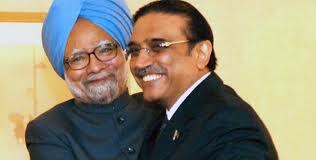 “They want to destabilize Pakistan,” he said. But that position leaves Mr. Saeed vulnerable to pressure from fighters within his own ranks who may still have Taliban sympathies. Western security officials say Lashkar has already suffered some defections in recent years..
“If he continues in this direction, the issue is how many people he can bring with him,” Mr. Tankel said. 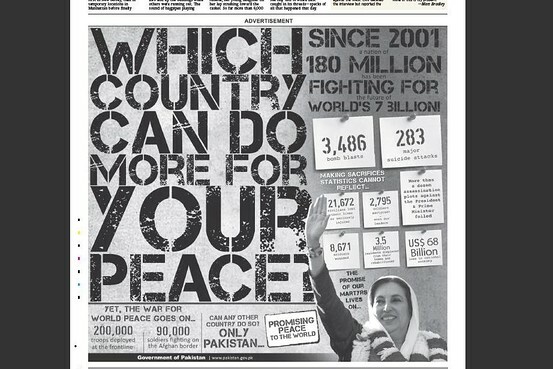 Pakistan has taken out a half-page advertisement in The Wall Street Journal to coincide with the 10th anniversary of the Sept. 11 attacks in an attempt to shift what Islamabad feels is an anti-Pakistan narrative in the American media. Pakistani army and civilian officials complain that in the U.S. their country is often portrayed in the media and by members of Congress as a double-dealing ally that takes billions of dollars in U.S. aid but secretly helps the Taliban kill U.S. soldiers. Pakistan’s leaders have been publicly trying to promote a competing narrative, but with almost no success. In their telling, Pakistan did foster Islamist militant groups, first to fight Soviet troops in Afghanistan and then Indian soldiers in Kashmir. Pakistan military and civilian officials point out the U.S. was all for the Mujahideen war against Moscow in the 1980s. But in the past decade, Pakistan’s army has severed its links with militants, who have unleashed a bloody war against Pakistan’s army and government, according to Islamabad’s narrative. Pakistani officials regularly tell this version of events in public speechs and to visiting U.S. officials and journalists. The military has even made a local TV drama featuring real soldiers to publicize its sacrifices in the war against militants. The advert in the Journal seeks to give the message to a wider audience. The ad cites a series of statistics. Almost 22,000 Pakistani civilians have died or been seriously injured in the fight against terrorism, the ad said. The army has lost almost 3,000 soldiers. More than 3.5 million people have been displaced by the fighting and the damage to the economy over the past decade is estimated at $68 billion, it added. People will quibble with these statistics from a country where reporters often find it difficult to get basic data. It was not clear whether the ad was carried in other U.S. publications. Pakistan’s government also tried to place it in the New York Times. The Times asked for “more clarity in the ad about who was placing it,” according to a spokeswoman for the newspaper. The Times did not hear back from the government and so has not yet run the ad, she said. The ad as printed in the Journal carries a line at the bottom in small font saying “Government of Pakistan” next to a web address for the government. A spokeswoman for the Journal declined to comment. Will the advertisement be effective in shifting the narrative? It’s unlikely. The points raised are all fair enough. Pakistan has been hammered by suicide bombings by Islamist militants against civilian and army targets. It’s perhaps fair to say that many in the U.S. have failed to recognize the changes in Pakistan, especially in the past few years, that have led to its domestic war against militancy. Still, many in the U.S. and elsewhere are likely to shrug their shoulders. In the U.S. and India, where Pakistani-based militants are viewed as a daily threat to security, many politicians, analysts and ordinary citizens blame Pakistan for failing to stop the export of terrorism and being selective in which Islamist militant groups they go after. Pakistan has waged a war against homegrown Pakistan Taliban militants for the past three years, suffering large casualties. But U.S. defense officials say publicly they are concerned that the country continues to protect Afghan Taliban fighters that don’t attack inside Pakistan. It’s these fighters who use Pakistan soil as a base from which to launch attacks on U.S. forces in Afghanistan, they say. Some U.S. officials say they believe Pakistan’s argument that it’s too stretched fighting the Pakistan Taliban to open new fronts in its war against militants. But many members of Congress and U.S. defense officials say Islamabad wants to keep ties strong with the Afghan Taliban so it can influence politics over the border once the U.S. pulls out its troops by 2014. India blames Pakistan for failing to crack down on Lashkar-e-Taiba, the militant group which carried out the attacks on Mumbai in 2008, killing over 160 people, and has hit Indian targets in Afghanistan. LET has not carried out any attacks against the Pakistan state. Defense Secretary Leon Panetta said Tuesday that the United States has no choice but to maintain close relations with Pakistan, despite government links with Islamic militants including the Haqqani network. The State Department, meanwhile, put sanctions on another Haqqani network commander. Panetta, who took over as defense secretary in June after two years of heading the CIA, declined comment on news reports that Pakistan allowed China to inspect the wreckage of an advanced U.S. helicopter lost in the raid that killed Osama bin Laden. 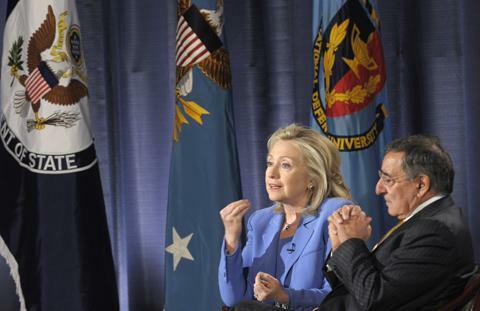 But at a public forum with Secretary of State Hillary Clinton at Washington’s National Defense University, the defense chief was unusually candid about U.S. problem issues with Pakistan. Panetta said Pakistan has “relationships” with the Haqqani network – militants based in western Pakistan who conduct cross-border attacks on U.S. forces in Afghanistan, and with Lashkar-e-Taiba militants who have attacked India. The State Department on Tuesday designated a key Haqqani network commander – Mullah Sangeen Zadran – a terrorist under a 2001 White House executive order, freezing any U.S. assets he has and barring Americans from business dealings with him. The federal trial of Tahawwur Rana begins Monday in Chicago, in which the Pakistan-born Canadian citizen who has lived in the Midwest for many years stands accused of providing cover for a former classmate who scouted sites for the 2008 Mumbai terror attacks in India. He is also accused of providing support for attempted attacks in Denmark that were never carried out. Rana has pleaded not guilty, and while the trial may be about Rana’s alleged abetting of international terrorism, the court proceedings are gaining international attention because they are expected to finger Pakistan’s ISI spy agency for helping a terror group carry out the attacks, the Associated Press reports. Lashkar-e-Taiba, a Pakistani militant group, has been blamed for the 3-day siege in Mumbai that killed more than 160 people, including six Americans. David Headley, a Pakistani-American businessman who has confessed to his involvement in the attacks and has turned government informant, is expected to testify that Pakistan ISI agents helped the militant group carry out the Mumbai attacks, The Guardian reports. The trial comes at a particularly tense time for U.S.-Pakistan relations, because U.S. Navy SEALs recently found and killed Osama bin Laden in Pakistan after he had been hiding in plain sight there for several years. Headley, a former informant for DEA, has already pleaded guilty to aiding in the attacks, and he has also already told an Indian inquiry into the attacksthat ISI officers helped Lashkar-e-Taiba plot the commando-style attacks on several sites in Mumbai, India’s largest city, The Guardian reports. The 12 jurors selected for the federal trial of Rana are mostly minorities and mainly women, the AP reports. Eight women and four men were sworn in for the trial, and opening statements are planned for Monday.